So I don’t really think that chanting “snow snow go away come again another day” (someone other than me must remember shouting that as a kid when the rain just wouldn’t let up, right??) is going to work. I’ve tried it. Didn’t work. And a curse to all of those folks who did snow dances at the beginning of the winter ~ next time get together and do just the ONE dance, not all of the assorted dances! Did you really want this much? I’m starting to feel trapped, snowbound and mad. Not necessarily in that order either! I don’t ski or skate, but as long as the wind isn’t whipping through my layers of sweaters and coats, browsing up and down the Main Streets of Bath and Brunswick can be a ton of fun…we have such great little shops with unique items and both towns. And LOTS of coffee shops to stop into to warm up, grab a latte and muffin and head back out. Bookstores are my favorite, and we have a new one on Front Street in Bath called the Mustard Seed…( http://bit.ly/1zimfQ2 ) that’s on my list for this weekend! 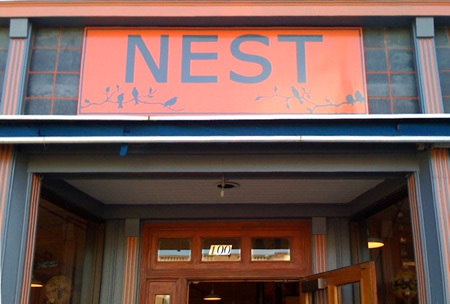 The Nest (http://www.mainenest.com/ ) and The Hatch on Maine Street in Brunswick are great for gifts, and not just for yourself! So what do you like to do get through these next few (fingers crossed) weeks until spring? Please share!